computers sold with Magic Desktop pre-installed. 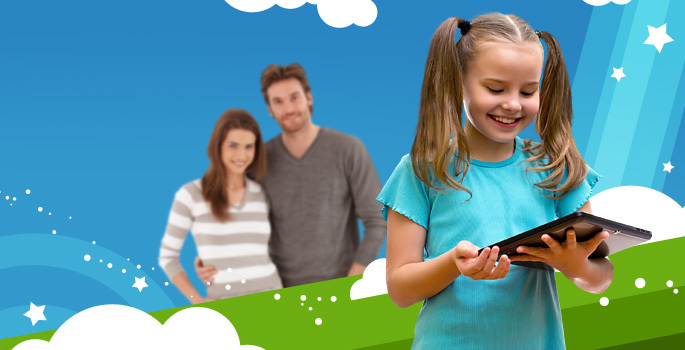 Join our active community of parents who use Magic Desktop. Share your ideas, provide and receive support, and offer valuable feedback. Sign-up today! "My 5 year old is becoming a master at the drawing and image editing program. She created the family Christmas card this year, using her picture and adding Photoshop type effects to it. The extended family could not believe she did it all by herself!" 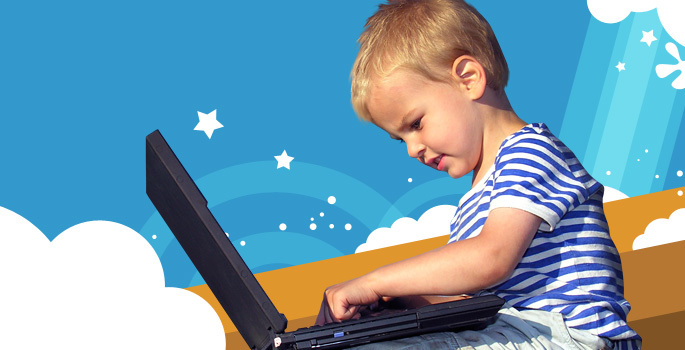 "The Kid’s E-mail and Internet browser programs are great, so much better than all the other filters I have tried. My son is 9 and his parent-approved websites list is growing quickly. I add a new site in exchange for 50 bonus points. He loves it!" "I love your "No Homework-No Play" technology! You should see my kids trying hard to get the bonus points in Easy Learning doing multiplication tables so that they can play games afterwards. Parental control system is so simple and effective! Fantastic!" "I have two kids (3 and 8 years old) and after installing Magic Desktop I have stopped worrying about my kids damaging the system or deleting my files. Thanks Easybits!" "I was really surprised by how much I got for my money. My kids love your wonderful programs. We have been using MD for over a year now and they can’t get enough. This is probably the best software purchase I have ever made. Thank you!" "I am very happy I found your product. I bought a lifetime license after only trialing the demo version for 2 hrs as I could tell this was a well thought out and executed platform to keep my child safe while using his new netbook." "Magic Desktop has been a revolution in our household. Using the computer here was always based on a lot of supervision and neither me or my wife have the time! You came in and solved our problem. Thank you so much!" "What I love the most about Magic Desktop is that it grows as my kids grow. They never get bored and I can choose to add regular Windows programs into it, if I feel the kids are prepared. It is really the perfect stepping stone for them using my PC as teenagers." 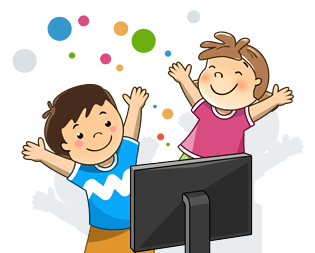 "Magic Desktop is a perfect way to teach kids to use a PC and introduce them to Internet while enjoying the benefits of parental control. I recommend it to all parents with young kids!" Share the magic! Software resellers, website owners, ISPs, OEMs and individuals looking to sell Magic Desktop may participate in a program ideal for their needs. Learn about our range of affiliate and partner programs, today. Software resellers with their own online store can begin earning revenue through Magic Desktop sales to their existing customers. Webmasters serving our target audience should contact us to launch the right resale program for their needs. Internet Service Providers that would like to offer customers a safe, family-oriented solution can do what so many ISP’s around the globe already do – resell Magic Desktop. Original Equipment Manufacturers that produce computers targeting our consumer market are invited to partner with us to preload Magic Desktop. If you love Magic Desktop and want to share that love with others, start earning by selling our sought-after technology solution! Windows 10 is fully supported!